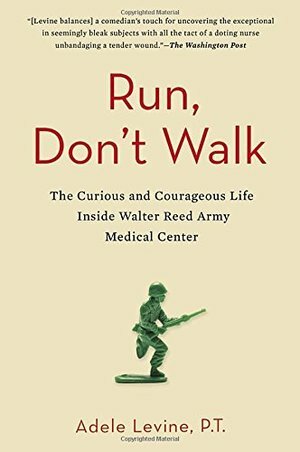 Adele Levine's days rehabilitating amputee soldiers at Walter Reed were intense, chaotic and heart-breaking, but they were also filled with camaraderie and unlikely humour. Working in a glassed-in gymnasium, Levine, her colleagues and their patients were constantly on display to tour groups, politicians and celebrities. Some would tear up openly at the sight, but inside the glass and out of earshot, the P.T.s and the rowdy patients cracked jokes, played pranks and compared stumps as they worked to not only walk again, but to run. Deeply humane and absorbing.